The city of São Carlos in Brazil has partnered with Grupo Criar, a company that specializes in developing traffic systems, to create a mobile app for the blind. The app is called Busalert, and the developers are planning to launch the app on both Android and Windows Phone platform. The Busalert app covers the city’s entire bus fleet. Essentially, blind users will have to enter the number of the bus route and their bus stop location. The app will then inform the user via a voice feature, informing the user about the distance in meters, estimated waiting time in minutes, and number of bus stops to go through. 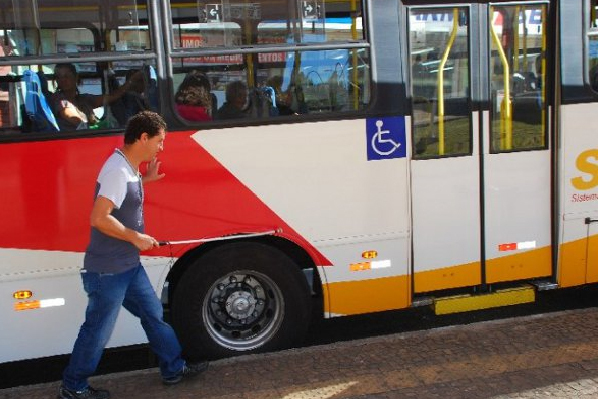 Grupo Criar said that the app is a response to the city’s request in April to improve access to its public transportation systems, particularly for the blind. More than 200 people with visual disabilities have registered in the city’s disabled citizens list. The company hopes to deploy the app to other cities in Brazil as well sometime in the future.